This contest has ended, however, we'd like to offer you 20% off your Friends coloring bundle. Just use code CENTRALPERKS at checkout. 'The One With The Colors' - Colored Pencils & Pages Are Here! To Celebrate, we're giving away 10 gift bundles! 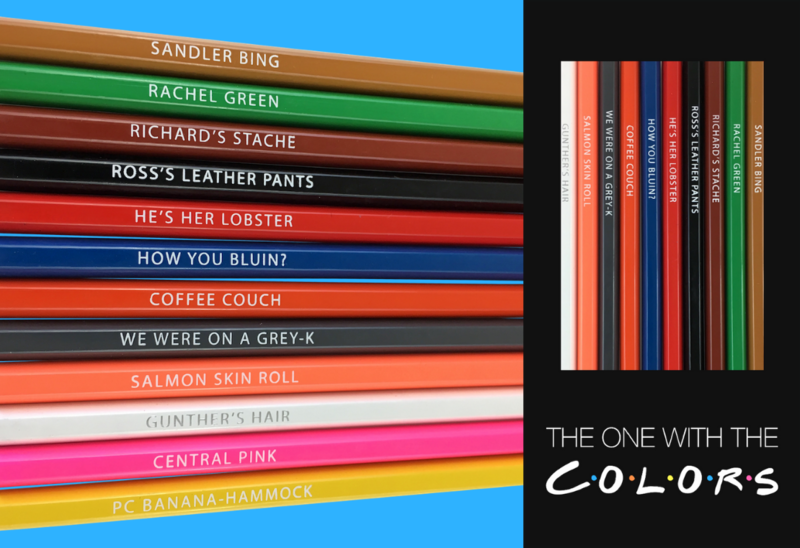 12 colored pencils themed after your favorite moments and episodes. 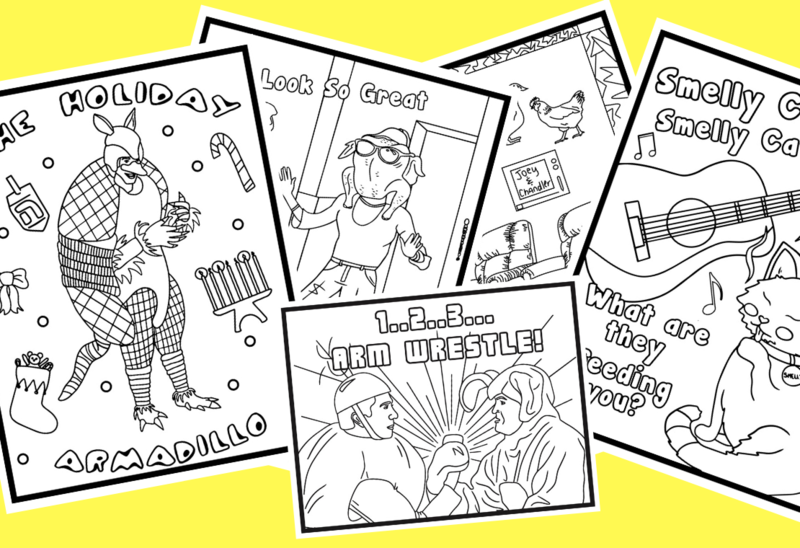 5 High-Quality heavier card stock coloring pages with scenes and quotes. Each pencil is stamped with white foil. Heavier paper perfect for framing or hanging on the wall. Boundless for flat coloring and shape integrity. Filled with your favorite Friends moments! This contest has ended. However, we'd like to offer you 20% OFF your Bundle. 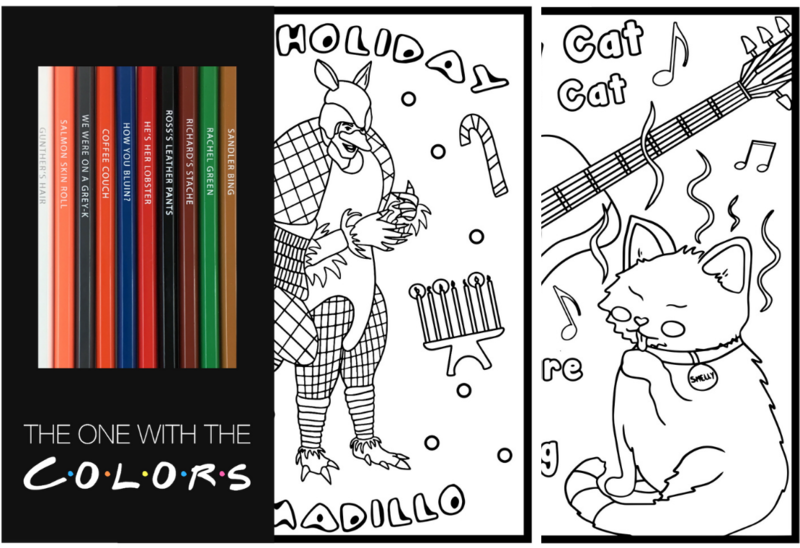 Bundle Includes 'The One With The Colors' Pencils And 5pck Coloring Pages. The perfect gift set for fans of the TV show Friends! Only one valid email per person is allowed. Winners will be randomly selected on November 17th, 2018 and announced via email and Instagram . By entering this giveaway you are agreeing to opt-in to our email newsletter. You may opt-out at any time by using the link provided in the email text. In order to be selected for the prize you must be opted-in at the time of the drawing. Shipping times for prizes are estimated at 2 weeks after winners are announced. Winners will receive set of pencils and 1 (pack) set of coloring pages. PopColors AKA Upstaged Media LLC reserve the right to alter, change, or remove any rules or guidelines of the contest. Odds of winning depend on the number of entries, and winners will be randomly selected from the list of eligible contestants as per the terms of this giveaway. All may enter, those under 18 years of age must have parental consent. By Signing up with an email you confirm consent by a parent or legal guardian. The contest is eligible worldwide to all. Signing up for the PopColors newsletter gives you exclusive offers, deals, & information on our products. POPCOLORS 2018 © Copyright. All right reserved.